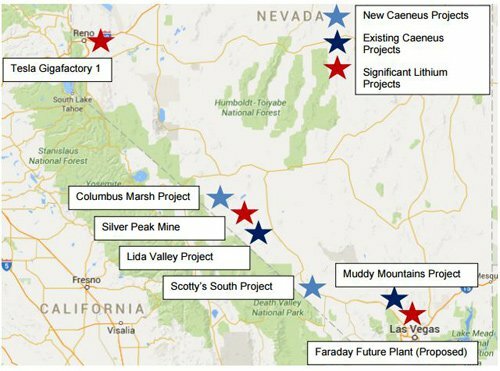 Caeneus Minerals (ASX:CAD) has doubled down in Nevada – using a pot of cash to acquire more lithium brine projects in the same state as Tesla’s ‘Gigafactory’. It told its investors this morning that it had moved to acquire a 100% stake in Perth-based private company ATC Resources Pty – therefore grabbing the Sarcobatus Flats and Columbus Marsh lithium brine projects. News of the acquisitions comes at a time when lithium activity in Nevada continues to heat up as Tesla’s Gigafactory draws closer to completion – making access to lithium land a premium. It is thought the acquisition is the result of a mini war-chest recently announced by the company, in the form of a $1.2 million raising. The deal is a scrip deal – but the raising allows CAD to not dilute shareholders in the shorter-term to grab working capital. The deal effectively means CAD now holds lithium brine ground in three of the best emerging basins in Nevada. There is no guarantee that the prospective ground will translate into ultimate success though, and CAD remains a speculative stock so seek professional financial advice when considering this stock for your portfolio. The project consists of about 200 claims and covers roughly 4000 acres, with source rocks thought to be quartz-rich volcanic which contain an unusual amount of lithium. Sediment sampling done in the area has shown values of lithium ranging from 50 parts per million to 340ppm. CAD told its shareholders that Sarcobatus Flats was showing signs of being a ‘Clayton Valley’ style lithium brine deposit. The Clayton Valley is thought to be the premiere lithium brine basin in the state – and CAD said Sarcobatus Flats was showing signs of simply being an ‘under explored’ version of Clayton Valley. There’s something in the water at Columbus Marsh, if the analysis is to be believed. CAD said that analysis of water at Columbus Salt Marsh found high lithium and potassium concentrations. It said that at least part of these waters is probably derived from the leaching of tertiary rocks containing saline minerals. Reconnaissance sampling indicated water samples reaching lithium levels of 64mg/1. The water is a good lead, and CAD said it would need to do more exploration to see if lithium-brine exists at depth. 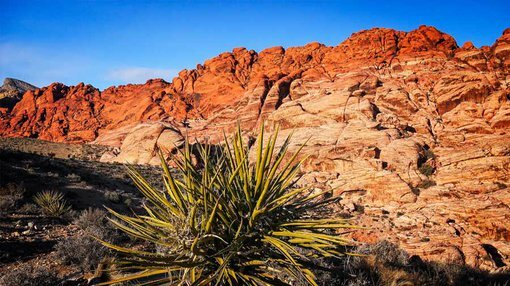 CAD is currently running the rule over two projects in Nevada thought to be rich in lithium-bearing brines, the Lida Valley and Muddy Mountains projects. CAD is attempting to cash in on the buzz currently being generated by lithium’s role in the lithium-ion battery revolution which is in part being driven by Tesla’s electric cars. Tesla currently has a so-called ‘gigafactory’ in Nevada, and has previously stated its preference to source materials from North America. Muddy Mountain is a potential high impact ‘district-scale’ lithium clay project, with strongly anomalous lithium up to 1000 parts per million lithium previously hit as part of historical drilling. The Lida Valley Project is a significant regional Intermontane Basin with a drainage area of approximately 150km2. It is considered by CAD to be an ideal location for the development of lithium rich brine deposits.